Welcome to Indiana’s premiere resource for information on source reduction and recycling throughout the Hoosier State. 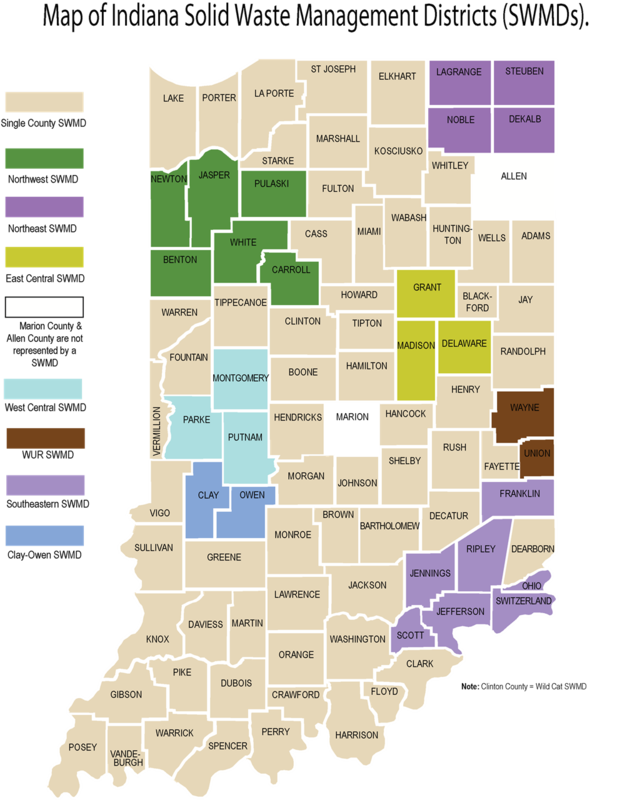 Indiana’s seventy solid waste management districts along with their associates are dedicated to the principals of responsible integrated solid waste management, ensuring a better today and tomorrow. Click here to see the legislation the AISWMD is tracking on behalf of districts. For more information on the disposal of Household Hazardous Waste, please click here to access the Indiana Household Hazardous Waste website.